Hitachi Capital are launching two money-saving apps to help companies address their grey fleet and end of life damage challenges. The Grey Fleet App has been developed specifically to help companies tackle the increasing challenge of managing employees who use their own cars for business use. Drivers are prompted to input their registration number, MOT, insurance and servicing details and are texted at appropriate times to update mileages and to remind them about renewing their MOT and insurance. Once collected, Hitachi Capital makes the data instantly available for fleets to review, giving an immediate overview of their current grey fleet. These exclusive features assist companies in making decisions such as introducing more hire car use or offering company cars to high business mileage grey fleet users. Meanwhile, the Company Car App uniquely works with three major smartphone operating systems – BlackBerry, Android and iPhone – and features an end of life contract damage manager which helps tackle a growing industry issue. An employee is prompted six weeks before their car is due back, using the App’s functionality, to take photos of any damage with the help of a copy of the BVRLA Fair Wear and Tear guide. The Hitachi Capital team can then assesses the damage and determine whether a smart repair or bodyshop repair is advised prior to defleet to prevent customers incurring expensive dehire charges. 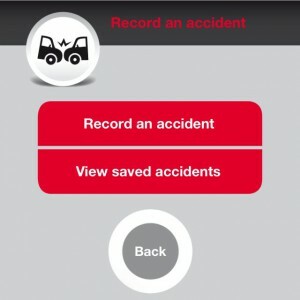 The app also has a number of additional features such as online service booking, an accident management reporter which helps drivers capture photos and data around damage, the scene, location, witnesses and any third party details. A complete tyre finder service is also available to enable drivers have a tyre replaced or repaired at any ATS centre nationally. Mike Belcher, Head of Sales at Hitachi Capital Vehicle Solutions, said: “Our aim was to introduce a mobile solution that only provides our customers with all of the driver functionality that exists in the market place today but also tackles grey fleet and end of life damage which are two key issues that are very difficult to control.